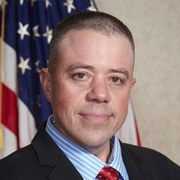 Parker Space was elected in February 2013 to fill the remainder of Assemblyman Gary Chiusano’s term in the New Jersey General Assembly after he resigned to become Sussex County Surrogate. Space’s family has farmed in Sussex County for eight generations. He has operated Space Farms Zoo & Museum, an institution in Northwest New Jersey since 1927. Parker served as a Director for the Sussex Rural Electric Co-op and has volunteered for 24 years as an active member of the Wantage Fire Department serving two years as Fire Chief. Parkerwas elected to the Sussex County Freeholder Board in 2010 to fill the remainder of Labor Commissioner Hal Wirths’ term. He then went on to win the general election that year and was Freeholder Director at the time of his election to the General Assembly. He served on the Wantage Township Committee for six years, three of them as Mayor. He also was a member of the Wantage Township Land Use Board from 2000 to 2008. Parker was an elected New Jersey Republican State Committeeman for Sussex County and is an elected member of the Sussex County Republican Committee. He and his wife Jill have been married for 20 years and have three children. 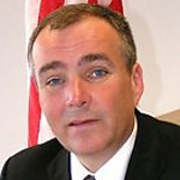 A lifelong resident of Sussex County, Hal Wirths became an assemblyman in January 2018. Wirths was the Labor commissioner from 2010 to 2016, reforming the department and returning the Unemployment Insurance Trust Fund to solvency. Under his leadership, and with legislative support, a federal tax hike that New Jersey employers were facing in January 2014 was eliminated; instead employers received a $380 million payroll tax cut in May 2016 thanks to the effects of his reforms. Previously, he was a Sussex County freeholder from 2000 to 2010. He owned and managed furniture stores for almost 20 years, and was a founder of Noble Community Bank, now known as Highlands State Bank, where he serves on the board. He resides in Hardyston with his wife and has two adult daughters.